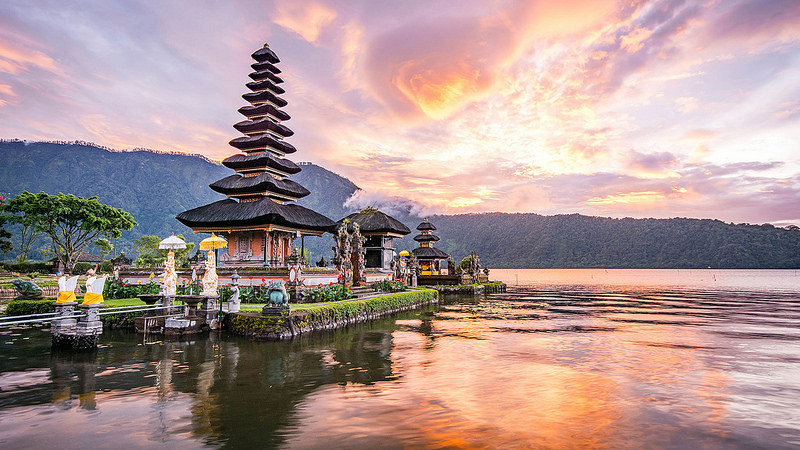 Indonesia is an incredibly vast archipelago, with over 18,000 island to explore! After lots of decision-making, I’ve narrowed my trip down to a few different islands, which give me a variety of activities to do, and many diverse landscapes to explore. 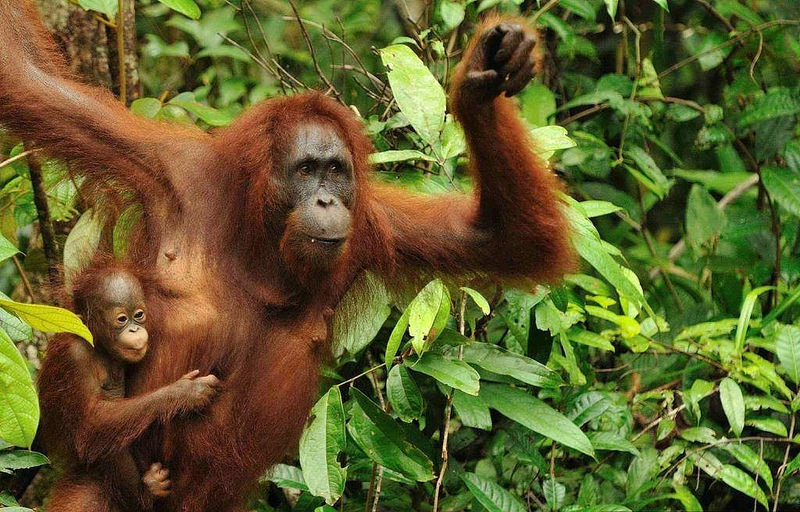 I’ll start my trip on the island of Sumatra, where I’ll visit the capital Medan and Bukit Lawang in Gunung Leuser National Park, where I’ll have the chance to trek for orangutans in the wild. 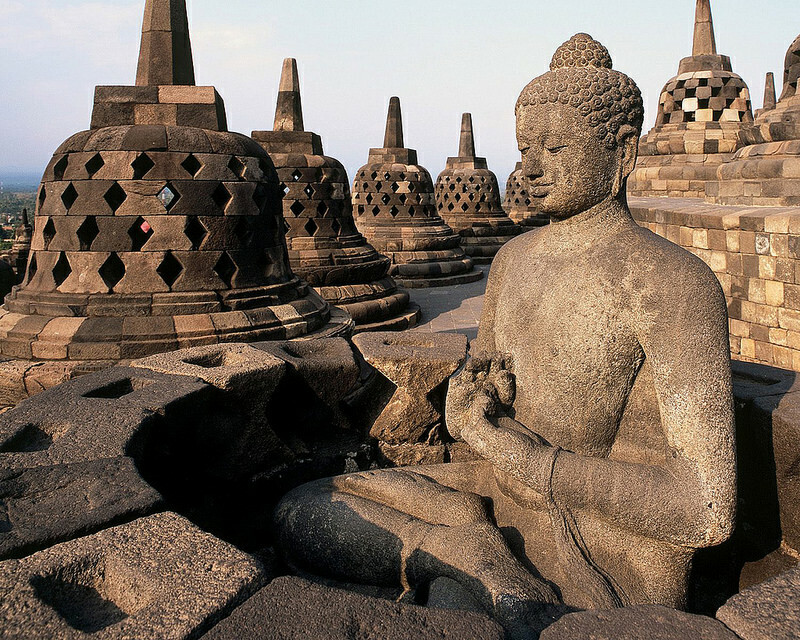 From there I’ll fly to the island of Java, where I’ll journey by train from Jakarta to Yogyakarta, known as the cultural capital of Indonesia. 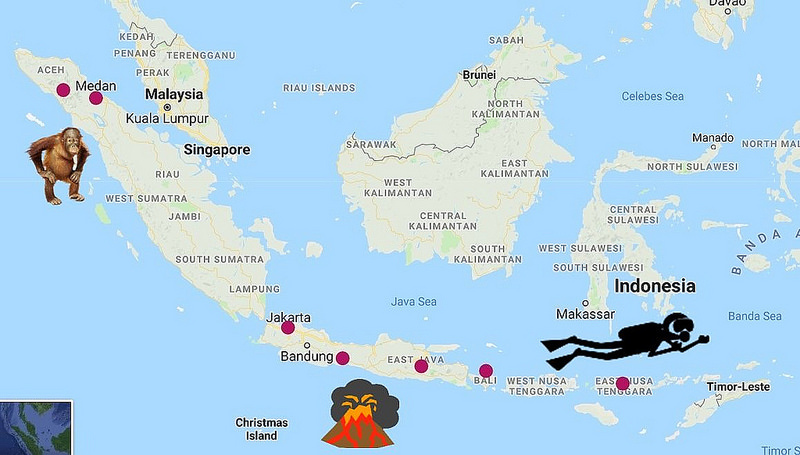 At that point, I’m going to attempt hiking two volcanoes: Mt. 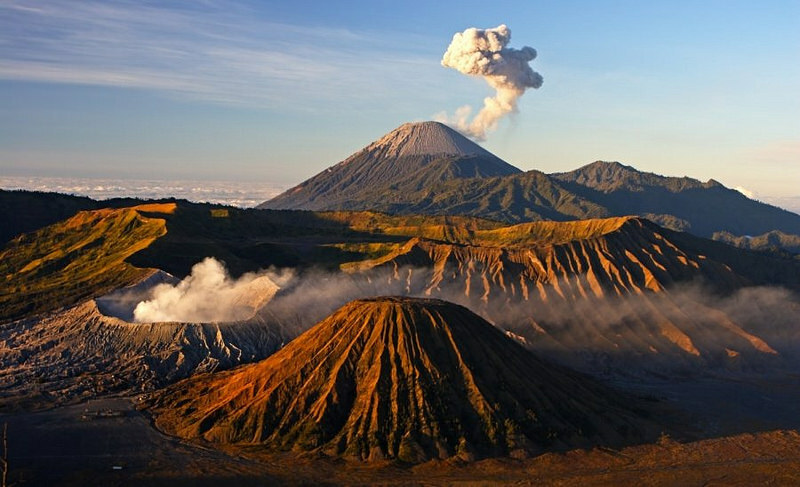 Bromo and Mt. Ijen, before making my way to the island of Bali. Once on Bali, I’ll be kicking back and relaxing in the beauty town of Ubud, known for its lush green landscape and laid-back vibe. 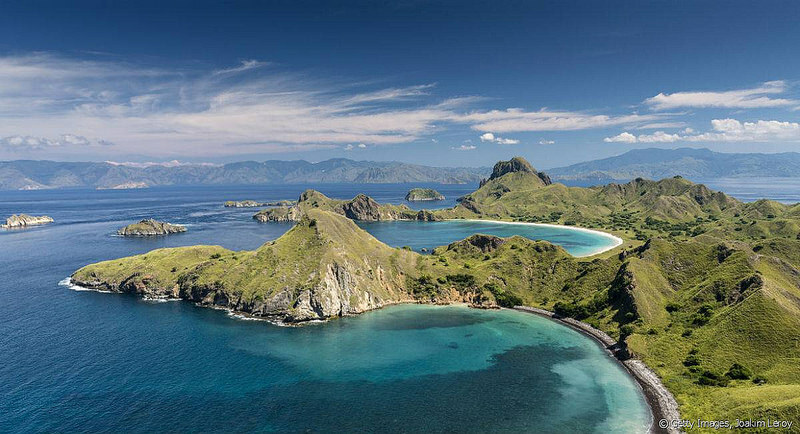 From there I’ll be flying to the island of Flores, where I’ll be going on a liveaboard scuba diving excursion through Komodo National Park. Thanks for the positive feedback! Enjoy!